Pouraliakbari, M., Mohammadi, M., Mirzazadeh, A. (2017). Location of Heath Care Facilities in Competitive and User Choice Environment. Journal of Industrial and Systems Engineering, 10(special issue on healthcare), 24-54. Mahsa Pouraliakbari; Mohammad Mohammadi; Abolfazl Mirzazadeh. "Location of Heath Care Facilities in Competitive and User Choice Environment". Journal of Industrial and Systems Engineering, 10, special issue on healthcare, 2017, 24-54. Pouraliakbari, M., Mohammadi, M., Mirzazadeh, A. (2017). 'Location of Heath Care Facilities in Competitive and User Choice Environment', Journal of Industrial and Systems Engineering, 10(special issue on healthcare), pp. 24-54. Pouraliakbari, M., Mohammadi, M., Mirzazadeh, A. Location of Heath Care Facilities in Competitive and User Choice Environment. Journal of Industrial and Systems Engineering, 2017; 10(special issue on healthcare): 24-54. The location of facilities anywhere in an area in which several competing facilities already exist and serving the demand points has been brought to light in this work. Because of the great importance of health care systems in the health of the people, these systems have been studied in the present paper. Creation and maintenance of competitive advantage in health care systems requires optimizing the location decision and understanding customers’ behaviors. Customers’ behavior is considered and explicitly modeled in this work. Each facility attracts customers within a “sphere of influence” defined by a “gravity-like spatial interaction model”. Customers have full control over which system they choose to patronize and they do so by applying the attractive elements with each center. the attractive factors that affect the user choice behavior are: the lower travelling time, the quality of the services or the reputation of centers. We also investigate how various parameters will affect the market shares of ours and competitors’ facilities in the user choice environment. The hospitals have several low level sections to offer low level services (such as primary services) and several high level sections to offer high level services (such as professional services) and the patients will refer to different sections of the hospitals according to their requirements and their health status. Two metaheuristic algorithms including ant colony optimization and tabu search are developed to solve the model and be applied to some numerical examples. TOPSIS method and statistical t- test are performed to evaluate the results of the proposed algorithms. Alinaghian, M., Hejazi, S. R., & Bajoul, N. (2014). A novel hierarchical model to locate health care facilities with fuzzy demand solved by harmony search algorithm. International Journal of Services and Operations Management, 1(2), 245-259. Alizadeh, M., Mahdavi, I., Mahdavi-Amiri, N., & Shiripour, S. (2015). A capacitated location-allocation problem with stochastic demands using sub-sources: An empirical study. Applied Soft Computing, 34, 551-571. Blanquero, R., Carrizosa, E., Tóth, BG., & Nogales-Gómez, A. (2016). p-facility Huff location problem on networks. European Journal of Operational Research, http://www.sciencedirect.com/science/article/pii/S0377221716302764. Available online 26 April 2016. Buettner, T., & Schwerin, A. V. (2016). Yardstick competition and partial coordination: Exploring the empirical distribution of local business tax rates. Journal of Economic Behavior Organization, 124, 178-201. Church, R. L., & Eaton, D.L. (1987). Hierarchical location anlysis using covering objectives. In: Ghosh A, Rushton G. (eds). Spatial analysis and location–allocation models, Van Nostrand Reinhold, NewYork. Converse, P. D. (1949). New law of retail gravitation. Operations Research, 14(3), 379-384.
Cooper, L. (1963). Location–allocation problems, Operations Research, 11(3), 331-343. Damgacioglu, H., Dinler, D., Ozdemirel, N. E., & Iyigun, C. (2015). A genetic algorithm for the uncapacitated single allocation planar hub location problem. Computers and Operations Research, 62, 224-236. Dorigo, M. (1992). Optimization, Learning and Natural Algorithms, PhD thesis, Politecnico di Milano, Italy. Drezner, T., Drezner, Z., & Kalczynski, P. (2015). A leader–follower model for discrete competitive facility location. Computers and Operations Research, 64, 51-59. Ebina, T., Matsushima, N., & Shimizu, D. (2015). Product differentiation and entry timing in a continuous time spatial competition model. European Journal of Operational Research, 247(3), 904-913. Freire, A. S., Moreno, E., & Yushimito, W. F. (2016). A branch-and-bound algorithm for the maximum capture problem with random utilities. European Journal of Operational Research, 252(1), 204-212. Gerrend, R. A., & Church, R. L. (1994). A generalized approach to modeling the hierarchical maximal covering location problem with referral. Papers of Regional Science, 73(4), 425-454. Ghaderi, A., & Jabalameli, M. S. (2013). Modeling the budget-constrained dynamic uncapacitated facility location–network design problem and solving it via two efficient heuristics: A case study of health care. Mathematical and Computer Modelling, 57(3-4), 382-400. Glover, F. (1989). Tabu Search – Part I. ORSA Journal on Computing, 1(3), 190-206. Glover, F. (1990). Tabu Search – Part II. ORSA Journal on Computing, 2(1), 1990 4-32. Guerriero, F., Miglionico, G., & Olivito, F. (2016). Location and reorganization problems: The Calabrian health care system case study. European Journal of Operational Research, 250, 939-954. Hakimi, S. L. (1964). Optimum location of switching centers and absolute centers and median of a graph. Operations Research,12(3), 450-459. He, Z., Cheng, T. C. E., Dong, J., & Wang, S. (2016). Evolutionary location and pricing strategies for service merchants in competitive O2O markets. European Journal of Operational Research, 254(2), 595-609. Hoover, E. (1936). Spatial price discrimination. The Review of Economic Studies, 4, 182-191. Hotelling, H. (1929). Stability in competition. The Economic Journal , 39(153), 41-57. Huff, D. L. (1964). Defining and estimating a trading area. Journal of Marketing , 28(3), 34-38. Hwang, C. L., Lai, Y. J., & Liu, T. Y. (1993). A new approach for multiple objective decision making. Computers and Operations Research, 20(8), 889–899. Hwang, C. L., & Yoon, K. (1981). Multiple Attribute Decision Making: Methods and Application, New York, Springer-Verlag. Kratica, J., Dugošija, D., & Savić, A. (2014). A new mixed integer linear programming model for the multi-level uncapacitated facility location problem. Applied Mathematical Modelling, 38(7-8), 2118–2129. Lerner, A., & Singer, H. V. (1937). Some notes on duopoly and spatial competition. Journal of Political Economy, 45(2), 145-186. Marinakis, Y. (2015). An improved particle swarm optimization algorithm for the capacitated location routing problem and for the location routing problem with stochastic demands. Applied Soft Computing, 37, 680-701. Mohammadi, M., Dehbari, S., & Vahdani, B. (2014). Design of a bi-objective reliable healthcare network with finite capacity queue under service covering uncertainty. Transportation Research Part E: Logisticsand Transportation Review, 72, 15-41. Reilly, J. W. (1929). The law of retail gravitation. New York, Knickerbocker Press. Revelle, C. (1986). The maximum capture or sphere of influence location problem: Hotelling revised on a network. Journal of Regional Science, 26(2), 343–358. Sahin, G., & Sural, H. (2007). A review of hierarchical facility location models. Computers and Operations Research, 34(8), 2310-2331. Sainathuni, B., Parikh, P. J., Zhang, X., & Kong, N. (2014). The warehouse-inventory-transportation problem for supply chains. European Journal of Operational Research, 237(2), 690-700. Serra, D., Marianov, V., & Revelle, C. (1992). The maximum-capture hierarchical location problem. European Journal of Operational Research, 62(3), 363-371. Serra, D., Ratick, S., & Revelle, C. (1996). The maximum capture problem with uncertainty. Environment and Planning B: Planning and Design, 23(1), 49-59. Serra, D., & Revelle C (1993). The pq-median problem: location and districting of hierarchical facilities. Serra, D., & Revelle, C. (1994). Market capture by two competitors: The preemptive location problem. Journal of Regional Science, 34(4), 549-561. Serra, D., & Revelle, C. (1996). Competitive location on networks. In Z. Drezner (ed. ): Facility Location. A survey of Applications and Methods, Springer. Shannon, C. E. (1984). A mathematical theory of communication. Bell System Technical Journal, 27(3), 379-423. Shavandi, H., & Mahlooji, H., (2007). Fuzzy hierarchical location-allocation models for congested systems. 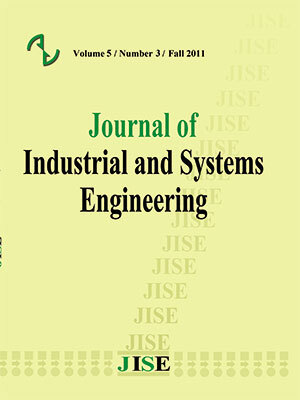 International Journal of Industrial and Systems Engineering. 1(2), 171-189. Shavandi, H., Mahlooji, H., Eshghi, K., & Khanmohammadi, S. (2006). A fuzzy coherent hierarchical location-allocation model for congested systems. Scientia Iranica 13(1), 14-24. Smithies, A. (1941). Optimum location in spatial competition. Journal of Political Economy, 49(3), 423-439. Taguchi, G. (1986). Orthogonal arrays and linear graphs. American Supplier Institute, Ine, Dearbon, MI. Tate, W. L., Ellram, L. M., Schoenherr, T., & Petersen, K. J. (2014). Global competitive conditions driving the manufacturing location decision. Business Horizons, 57(3), 381-390. Teresinha Arns Steiner, M., Datta, D., Steiner Neto, P. J., Tadeu Scarpin, C., & Figueira, J. R. (2015). Multi-objective optimization in partitioning the healthcare system of Parana State in Brazil. Omega, 52, 53-64. Tohidi, H. (2015). Mathematical modeling of optimal multi fuzzy locations of facilities based on the assumed step distance among them in a convex set. Applied Mathematical Modelling, 39(23-24), 7442-7451. Vatsa, A. K., & Jayaswal, S. (2016). A new formulation and Benders decomposition for the multi-period maximal covering facility location problem with server uncertainty. European Journal of Operational Research, 251(2), 404-418. Yoon, K. (1987). A reconciliation among discrete compromise situations. The Journal of the Operational Research Society, 38(3), 277-286. Zanjirani Farahani, R., Hassani, A., Mousavi, S. M., & Bakhshayeshi Baygi, M. (2014). A hybrid artificial bee colony for disruption in a hierarchical maximal covering location problem. Computers and Operations Research, 75, 129-141. Zarrinpoor, N., Shavandi, H., Bagherinejad, J. (2012). Extension of the maximal covering location-allocation model for congested system in the competitive and user-choice environment. International Journal of Industrial Engineering & Production Management, 22(4), 393-404. Zhou, J., & Liu, B. (2007). Modeling capacitated location–allocation problem with fuzzy demands. Computers and Industrial Engineering, 53(3), 454-468.